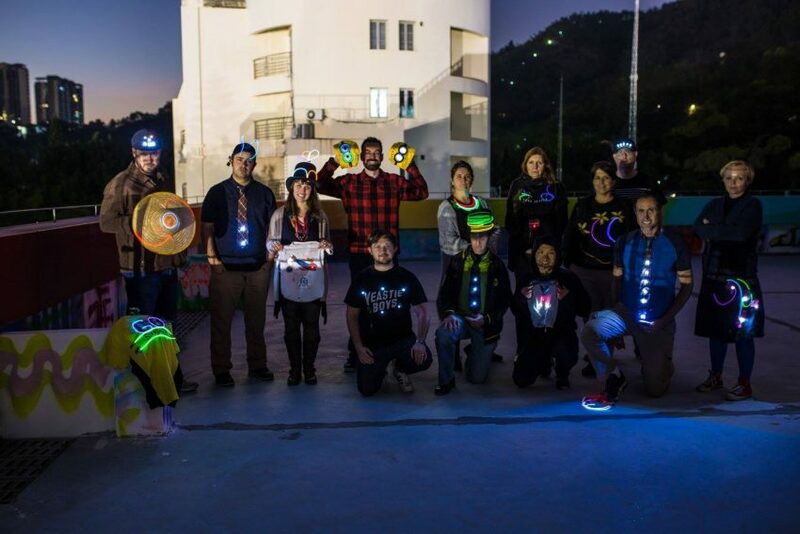 When You Want Your Minion Hat Lit #WearableWednesday #wearabletech #DIY #Arduino « Adafruit Industries – Makers, hackers, artists, designers and engineers! 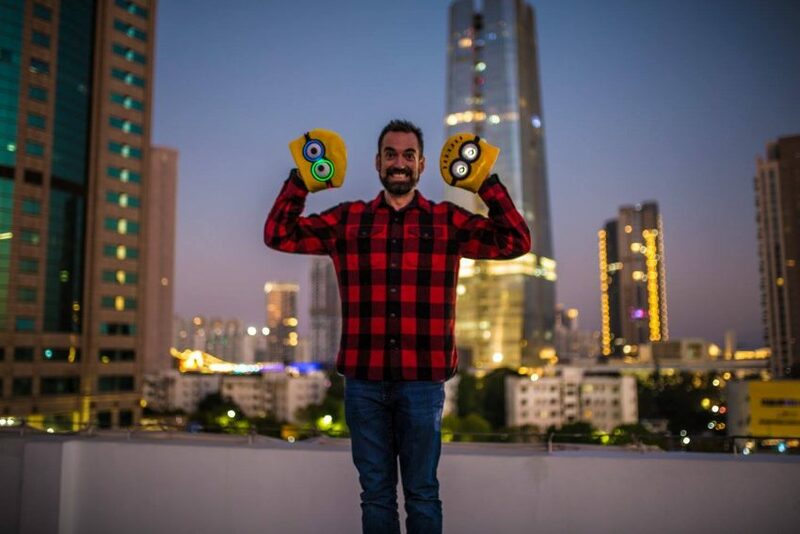 Rob Elliott posted his successful Minion hats from a recent wearable tech workshop held @TheLevel5, an initiative of the International School Services (ISS) in Shenzhen, China. 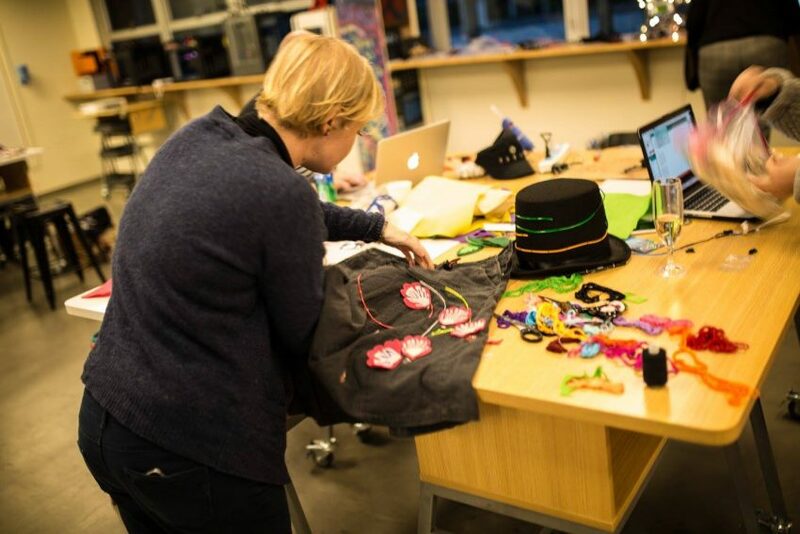 Attendees worked with the Protosnap Lilypad Development Board and EL Sequencer Board to hack clothing with LEDs and EL wire. There was plenty of mixed media including the lovely detail of blossoms on this skirt mixed with colorful EL wire. More flowers appeared on a sweater of another maker, again intertwined with EL wire. Many decided to keep it simple with a few LEDs, whether it be dotting a tie or adding bling to a favorite t-shirt. My favorite pic is the group gathered on the roof, getting ready for some light painting fun. Can you pick out the teacher, Ringo Dingrando, with the top hat? Congrats to @TheLevel5 for their amazing workshop (and apparent good humor). For those of you who yearn to have colorful lines of color like a neon sign, take a look at our learning guide for the Tron Hoodie. EL wire adds a mysterious glow to the hood, illuminating your face. This fun project will get you started on your journey of wearable tech; don’t forget to send us cool pics of your project taken on a rooftop!